Add the sourdough and mix. Add slowly flour, cocoa, salt and sugar. Mix until well combined. Let the composition to rest for an hour. Heat the pancake pan. I use 2 so I reduce the time of cooking. Put some drops of olive oil on the heated pan. Pour a ladle of the composition and spread it well in the pan. You can use special pancake shapes to create nice forms live flowers, hearts etc. Return the pancake after 1-2 minutes and let it cook on the other side for 1 minute. 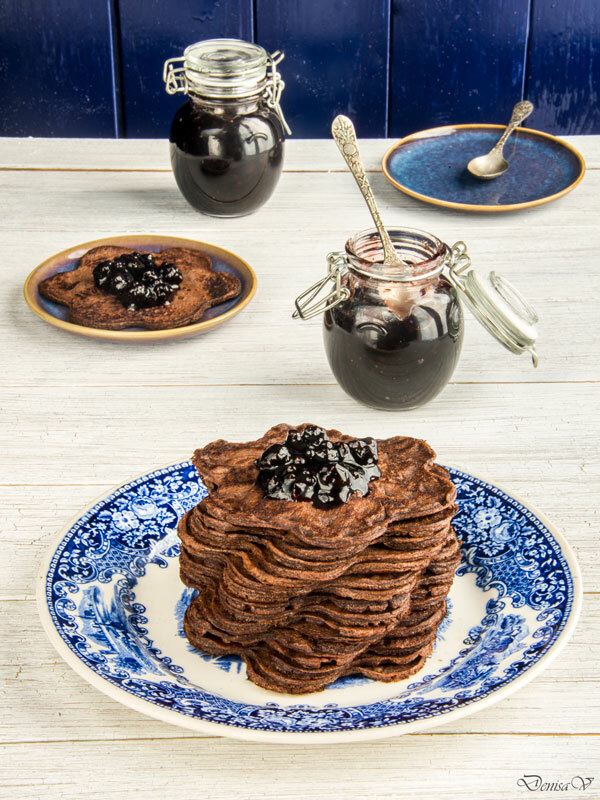 Recipe inspired from Crepes, blinis & pancakes, page 8.